HOPE IS POWERFUL, DON'T EVER LET GO OF HOPE! Feeling blessed. God is good! 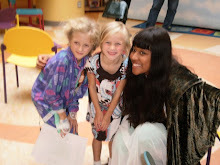 Maddi had an article written about her story by Amelia Aiello at Lurie Children's. Maddi is now off of ALL her medications!!! For the first time in 5 years. . .
Maddi used to have an Abernethy malformation/Portosystemic Shunt (PSS). 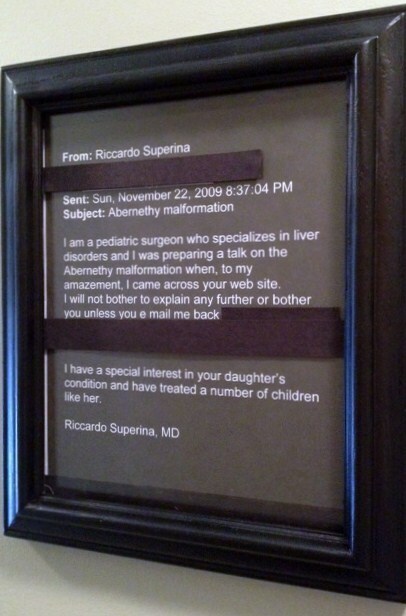 On October 3rd, 2011 - - all because of one life changing e-mail from Dr. Superina - - Maddi received her life saving surgery. 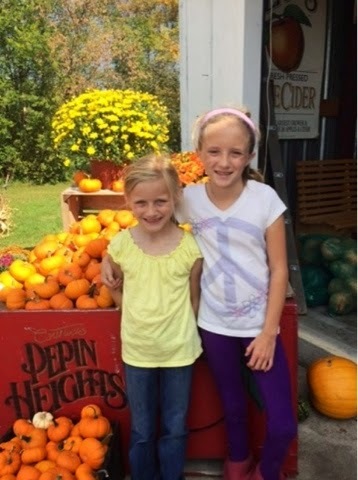 The surgery at Children's Memorial Hospital in Chicago, IL (now called Ann and Robert H. Lurie Children's Hospital of Chicago) CURED Maddi of the "rare" disease and saved her life! Please join me in my journey of hope and persistence! A portosystemic shunt (PSS) also know as an Abernethy malformation or a liver shunt, is a vascular connection effecting the body's circulatory system. In most people, blood from the stomach, intestines, spleen and pancreas drains into the liver through a large vein called the "portal" vein. With a portosystemic shunt, blood draining from the portal system bypasses ("shunts" past) the liver and directly enters the general circulation. As a result the liver does not get a chance to clean or filter the blood. A portosystemic shunt can be present at birth (i.e. congenital) or acquired as the result of an underlying liver disease that was not present at birth. This blog discusses a congenital portosystemic shunt. Dr. Karen Tobias from the University of Tennessee is a liver shunt "guru" in the animal world. I have included her website for detailed information. For a detailed medical description by Dr. R. Superina and Dr. Morgan of congenital portosystemic shunt classifications see the right column of this blog. CAPV (Abernethy Malformation) was first reported by John Abernethy in 1793. He was an English anatomist, physiologist, and surgeon. In 2003, only 31 cases of Abernethy malformation, mostly in children (80%) were detected in the world. Since Abernethy malformation can be without symptoms, the number of undiagnosed cases is not known. Possibly due to the increased recognition of Abernethy malformation the number of diagnosed cases appears to be increasing. Ultrasonography (ultrasound or US) with Doppler indications, computed tomography (CT scan) with use of IV contrast indications of chest, abdomen and pelvis, magnetic resonance imaging (MRI) and an venogram (angiogram) are used to diagnose an Abernethy malformation. Liver enzyme test - An initial step in detecting liver damage is a simple blood test to determine the presence of certain liver enzymes in the blood. Ammonia blood test – a routine blood test that uses blood that is drawn out of a vein. Ammonia tests can also be performed on arterial blood, but this method is much less frequently used. Oxygen saturation test - An estimate of your oxygen saturation can be made easily and painlessly with a clip that fits on your finger. A better test for measuring your oxygen saturation is an arterial blood gas test. For this test, a small sample of blood must be drawn directly out of an artery. Most routine blood tests use blood that is drawn out of a vein, so this test is a little different. A test in radiology is performed to temporarily block the shunt to see if a portal vein is present and to monitor pressure as the shunt is closed. If the portal vein is located, depending on the size and anatomy of the vein. It may be possible to permanately block or close the shunt and redirect flow through the portal vein. If the results indicate a higher presssure then the doctor is comfortable with, then the process may be done in stages to slowly expand the portal vein. A liver transplant may be another possible option that may be reviewed with your doctoor. The reaction of the liver to an uneven blood supply usually results in focal nodular hyperplasia. This is monitored yearly by checking alpha-fetoprotein levels to check for liver cancer and with a yearly CT scan. Intelligence may be normal, but some may have a learning disability. Limiting protein intake is advised in some circumstances. Lactulose or Xifaxan (Rifaximin) can be used if there are signs of hyperammonemia. Could HHT be listed as a possible symptom? (A liver shunt is a large AVM. When my child is hypoglycemic (low blood sugar) and has medical tests that require fasting, should she be on an IV of D5 (sugar solution) due to hyperammonemia? Is organic food safer than non-organic food? As a parent of an affected child, I would like to share my own information I have gathered. 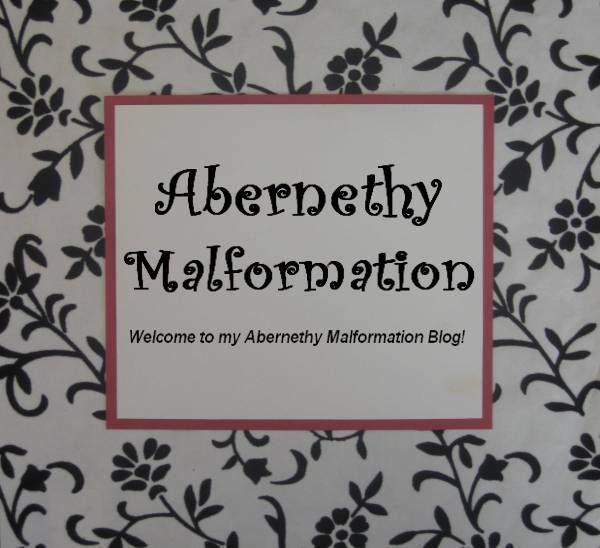 Hopefully this will help others learn more about Abernethy malformation! 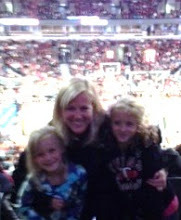 6th row at Da Bulls game! CAPV indicates congenital absence of the portal vein. THANK YOU Maddi for your courage and strength! Kohl's House, Lincoln Park, IL! Ronald McDonald House, Lincoln Park, IL! Thank You Brown Family Life Center! I am learning as I go. Morgan G, Superina R. Congenital absence of the portal vein: two cases and a proposed classification system for portasystemic vascular anomalies. J Pediatr Surg 1994;291239-41.